← What’s the difference between publications and related publications? 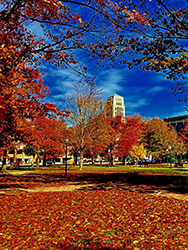 Mathematical Reviews is hosting an Open House as part of the AMS Fall Central Sectional Meeting at the University of Michigan in Ann Arbor. 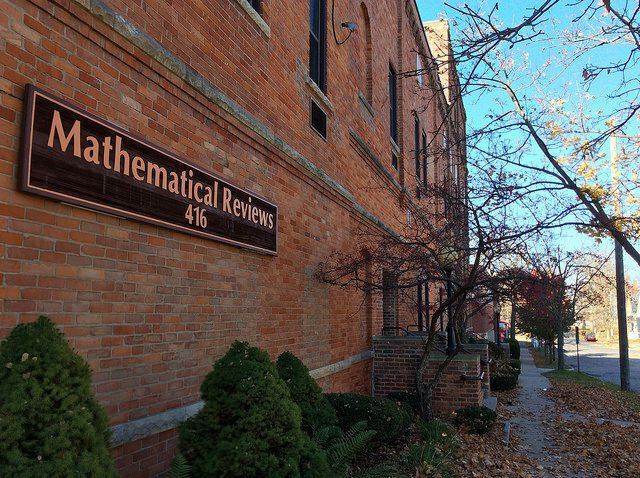 The open house will take place Saturday, October 20 from 12:30 to 2:00pm at the Mathematical Reviews building, 416 S. Fourth Street, Ann Arbor, MI. Come see where the magic happens! Here is a map with directions for how to walk from the site of the sectional meeting to Mathematical Reviews. The walk should take 15 to 20 minutes. All attendees of the Sectional Meeting and their guests are welcome to attend. We hope to see you on Saturday! I have followed your works, I’m impressed with the work you are doing. Thank you to everyone who came to the Open House. We had a good group of visitors. I enjoyed meeting some new people and catching up with a few familiar folks. We are proud of the work we do at Mathematical Review – with the help of the many reviewers. And now some of you have seen where it all happens!